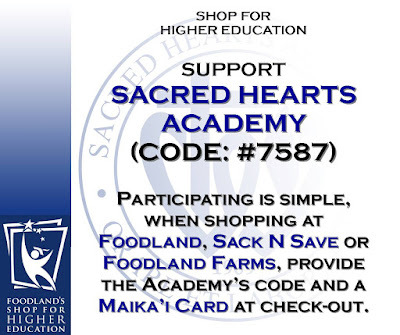 Sacred Hearts Academy is once again participating in Foodland - Hawaii's Shop for Higher Education program! Each year #Foodland awards (100) $2,000 college scholarships to deserving high school seniors across the state each year. 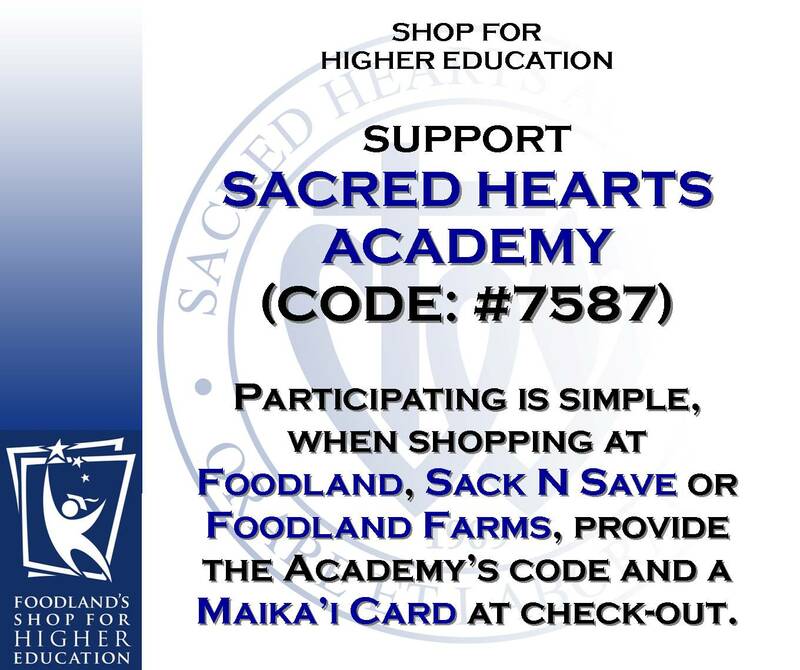 Customers are encouraged to select their favorite Hawaii high school (#SacredHeartsAcademy Code: 7587) when they check out at any Foodland and Sack N Save store. Every time you shop through the end of the program, you earn Maika'i points for your 'ohana AND matching points for the Academy! The more points a school earns, the more scholarships it receives. #ShopForHigherEducation kicks off tomorrow, February 6, and runs thru March 19. By the way my friend is at ESD Dallas, he is always looking for this type of posts.So i would to share with them.